Planning a wedding abroad? 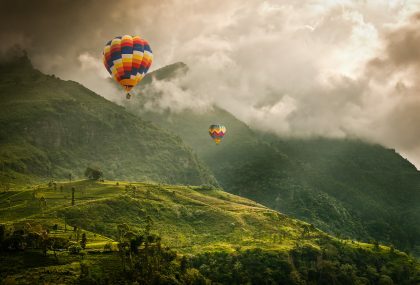 For an unforgettable destination celebration, say ‘I do’ to these breathtaking landscapes, unusual wedding venues, and picture-perfect photo opportunities from around the world. Wrapped in remote luxury and enveloped in Australia’s raw terrain and native wildlife, Kangaroo Island in Southern Australia offers a unique wedding location. 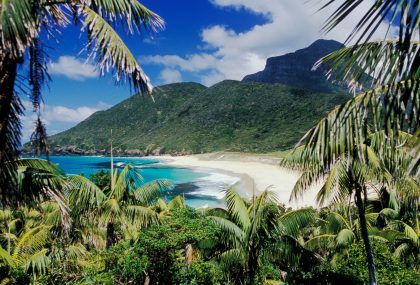 More than a third of the island is dense natural reserve boasting untouched greenery, sand dunes, wetlands, and beaches. 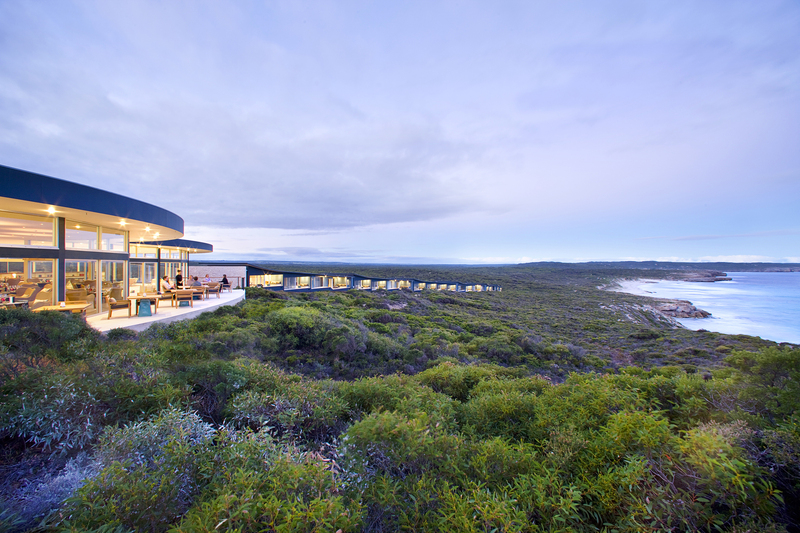 When it’s time to walk down the aisle, Southern Ocean Lodge (pictured) is a top destination. Hovering above a secluded cliff and dramatic coastline, the venue harbours a mere twenty-one suites accommodating a maximum of fifty guests. These intimate affairs are Southern Ocean Lodge’s specialty: The team there can assist with creating locally-sourced menus, customised experiences and freight needs. After the big day, make time for a tour to spot koalas, seals, and other island inhabitants. Save on the florist’s bill and fill your wedding photos with a sea of blues, pinks, and yellows at Holland’s gorgeous flower fields. The floral attractions are a short bike ride from Haarlem, which is about an hour or so outside of Amsterdam. Perfect for a spring celebration, tulips, crocuses, daffodils and hyacinths blossom by the millions and attract naturalists, tourists and locals alike. 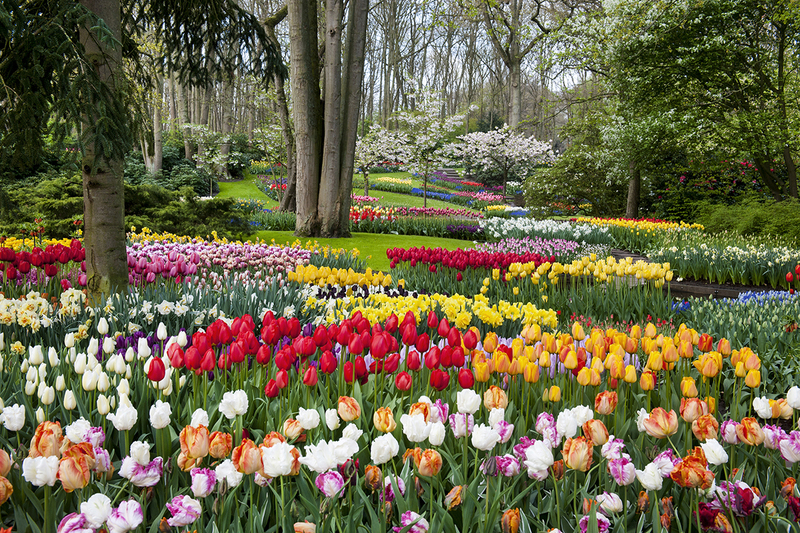 The Keukenhof in Lisse (pictured) is possibly the world’s most famous flower-bulb park and lies about 30-minutes from Haarlem. While you can’t get married in the actual garden, it sets a spectacular backdrop for photographs. Guests can get involved too with bicycle rentals or tours of the park. If little ones are a part of the festivities, consider the Land van Fluwel, which features a go-kart track, toy tractors, and an indoor sand playground in addition to its flower gardens. Wherever you decide, planning ahead is essential. The bulb season is short – typically from March until May – and photographers are in high demand. Trade in the beachy destinations of Cancun, Riviera Maya, Cabo or Tulum for Oaxaca, a city rich in culture, gastronomy, texture, and natural splendour. 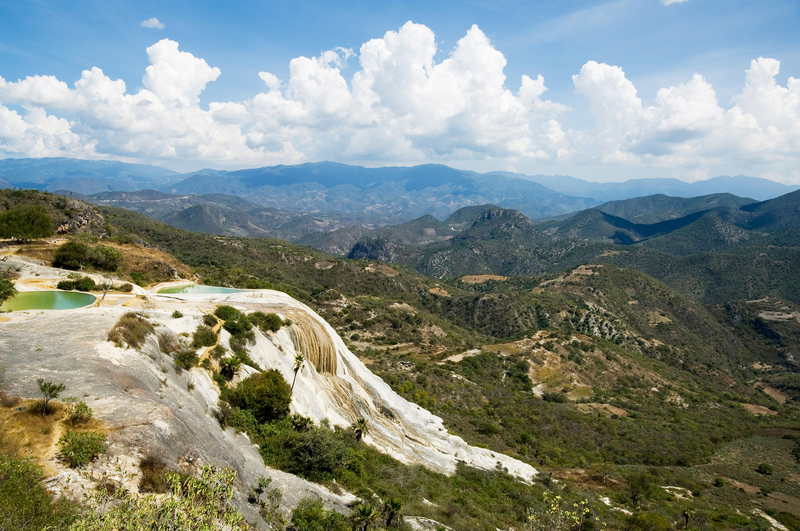 For a dazzling spot to take wedding photos, consider Oaxaca’s Hierve el Agua (pictured), where you’ll find a set of natural rock formations resembling water cascades. Off the beaten track in the valleys, Hierve el Agua lies an hour and a half from Oaxaca’s city centre, so it’s best for small groups and one-of-a-kind photos. As well as the spectacular petrified waterfalls, there are pools with a high-mineral content said to have healing properties. Some couples even hold post-wedding “trash the dress” photoshoots here! In the city, traditionalists can marry at Santo Domingo de Guzmán, an opulent former monastery and Baroque ecclesiastical complex. Or, if a beach wedding is your dream destination, consider Puerto Escondido to the south of Oaxaca. 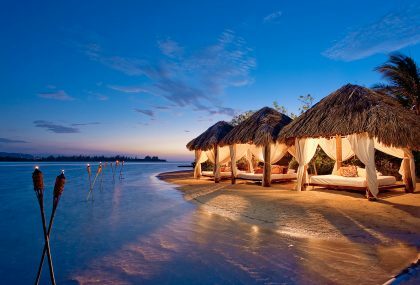 With its Pacific coastline and thatched bars, it’s ideal for bohemian couples looking for a social, seaside location. 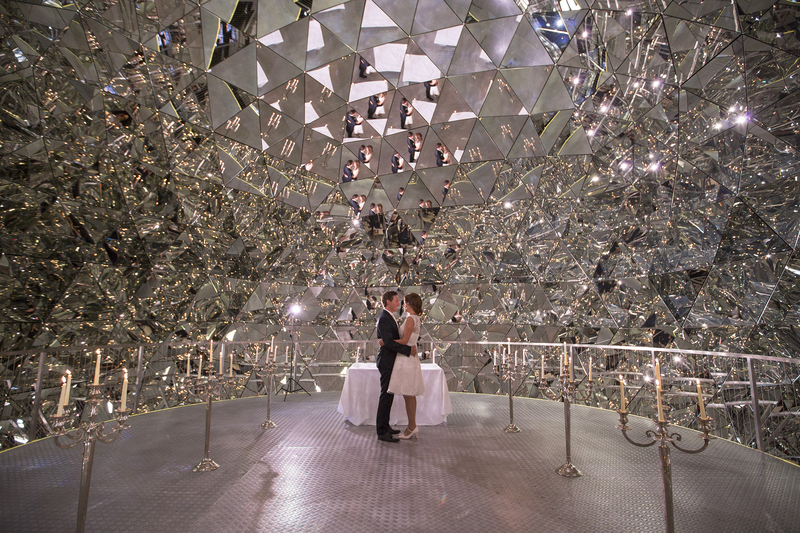 Dedicated to all things sparkling, The Swarovski Kristallwelten in Austria plays home to art and installations made with or inspired by Swarovski crystals. Here, the bride and groom can impress their guests with a big-day backdrop of 800,000 dazzling crystals. The Crystal Dome (pictured), Crystal Cloud and Mirror Pool are all Instagram-worthy pit stops, and couples embracing the whimsy can pose with The Giant, an outdoor fountain and lake that marks the entrance to the installations inside known as the Chambers of Wonder. 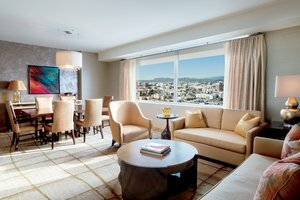 With so many reflective surfaces, be sure to hire a photographer who is familiar with the lighting and spaces. You’ll need someone who is agile enough not to show up in the photos, so a pre-wedding photo session and walkthrough might be in order. If you’re planning a winter wedding, Swarovski Kristallwelten is a glittering wonderland during the snowy months. 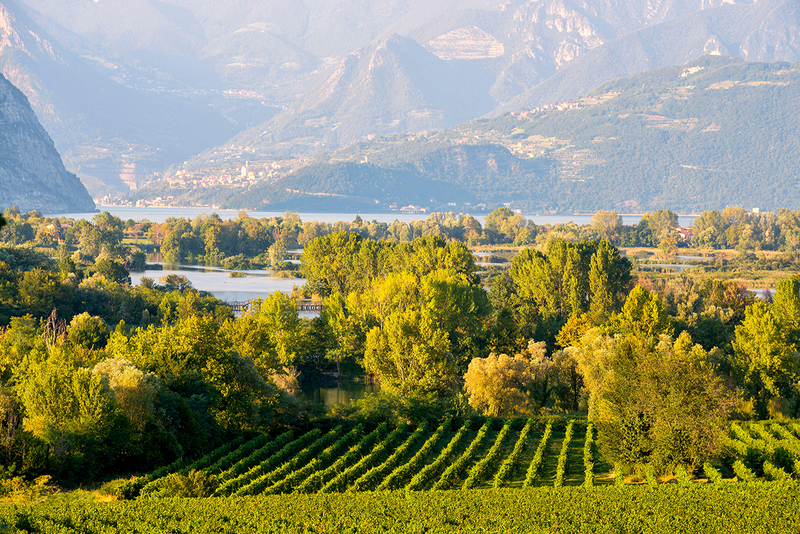 Italian wine regions like Tuscany, Sicily, and Lombardy get a lot of love from couples planning destination weddings, but the Franciacorta wine region is a lesser-known gem that will charm even the staunchest oenophile. Franciacorta is hugged by verdant hills that roll into Lake Iseo (pictured), so it’s a superb location for vows with a classic Italian feel. At L’Albereta hotel, Vistalago Bistrò’s terrace opens up to an unobstructed lake view while the exterior is surrounded by lush gardens and vineyards. You can also toast with the exclusive signature wine that is harvested on the property. Franciacorta is made in the style of Champagne, creating a dryer sip than its fellow Italian counterpart, Prosecco. And what’s a wedding without a little sparkling wine? When you’re not busy getting hitched, a tasting tour of Franciacorta’s hidden treasures and pairings is a real treat for gourmands, especially those seeking limited bottlings and editions to take home with them. 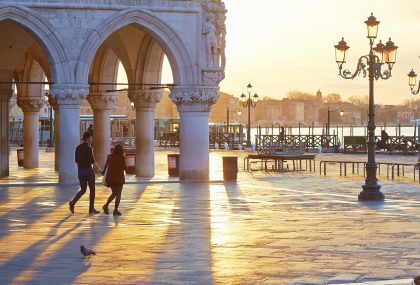 Franciacorta is just outside of Milan too, so guests can experience the perfect blend of city sophistication and carefree countryside in one trip.